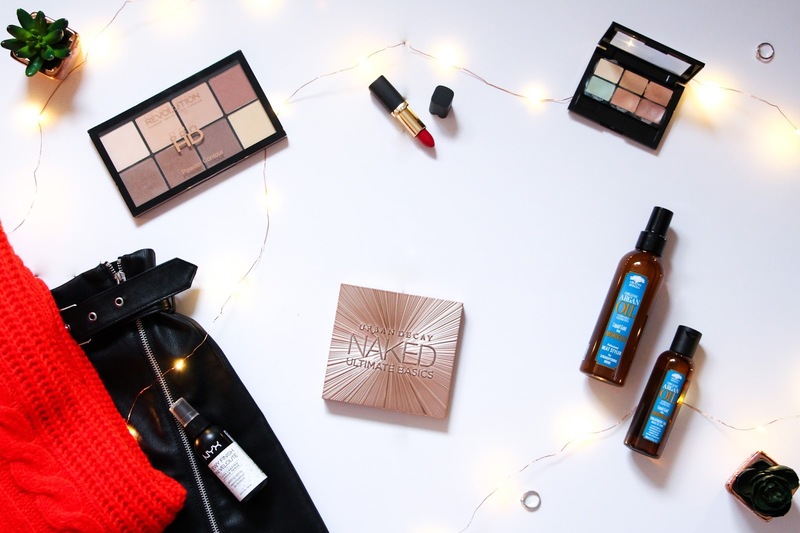 From beauty to fashion, I do have quite a few favourites to share with you. So let’s start. I did buy some cool fashion pieces this month that I fell absolutely in love with as soon as I tried it on. The first one was an H&M Red Knitted Jumper Dress. It is sold on the website as a jumper and the model is actually wearing it with black jeans but it is so oversized that it is perfect to be worn as a dress with some black tights and my new River Island Ankle Boots (another beautiful purchase during this month). 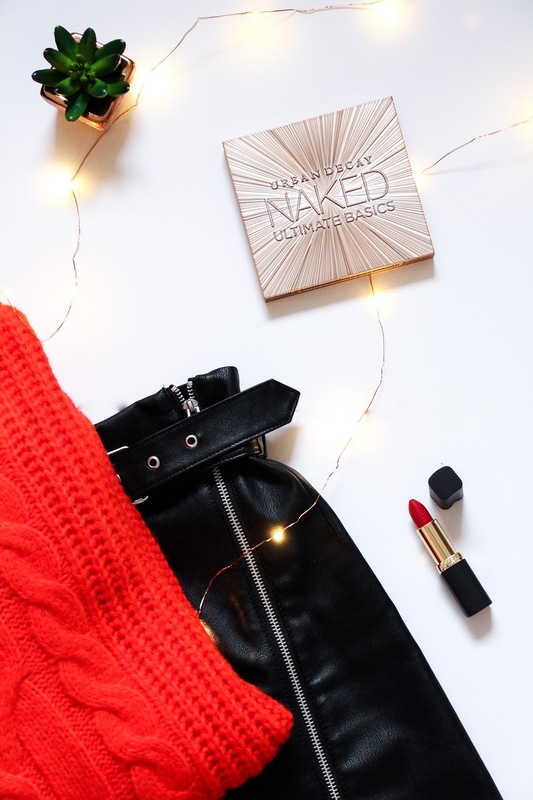 This is such a comfortable, warm and cozy outfit but it is full of style too. I am in love with the color too, it is super festive. Then this Topshop Hardware PU Mini Skirt, the most stunning pleather skirt you will find. I love all the silver details and how it is high waisted so it looks so flattering. You can pair it with either a cute jumper for a more casual look or with a nice top if you are looking for a more night time kind of outfit. Now jumping into beauty, there are also a few new discoveries that I am excited to share with you. First, hair care. Since Tamara Kalinic mentioned on one of her videos how she loves to use pure, organic argan oil shampoos and conditioners to wash her hair I thought I would give it a try. My hair is very dry and dull so anything to help bringing back a bit of life to it is very welcome. When going around TKMax (who doesn’t love it?) I came across a kit of four hair products and decided to give it a go. It was the Argania Spinosa Organic Argan Oil Shampoo, Conditioner, Treatment Oil and Heat Styler. A full on hair kit that does wonders. I noticed a massive difference since day one of when I tried this and it also smells divine. Definitely worth giving it a try! The Maybelline New York Mastercamo Colour Correcting Concealer has also been a big favourite this month. I have had it for a while but never used it much. This month I took the time to add this extra step some days when doing my makeup and it is so good. If you take your time to learn about colour correcting this can definitely do wonders and will make a big difference when you apply your foundation and concealer. You face looks much more even. Love it. The Makeup Revolution Pro HD Powder Contour if also a great addiction to my makeup collection. I did a full review on it here so give it a read and you’ll know why I love it. This month was also the month of the eyeshadow palettes. The Naked Ultimate Basics was one of my most recent purchases and I am absolutely in love. It is so pigmented, so easy to use and you can create so many different looks with it. Love it! Read my full review here. And for lips, this beautiful red lip by L’Óreal Paris. It is the L’Óreal Paris Color Riche Matte Lipstick in Haute Rouge (347). It is the classic bright red lip with a blue undertone that I think looks stunning in any skin tone. The undertone of this lipstick also makes my teeth look so white, got to love that. It has a matte formula but it isn’t drying at all. It wears comfortable on the lips and it last a reasonable amount of time unless you are eating all the greasy food you can get your hands on. It is also perfect for this festive season! I hope you had a wonderful Christmas around all the people you love. 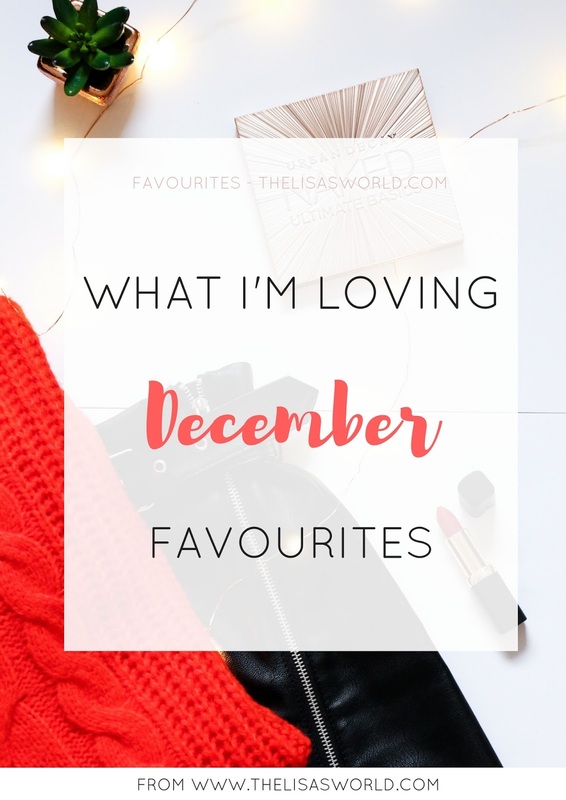 Let me know what was your favourite thing of your month of December!